Georgina Wilson and Arthur Burnand's son, Archie, celebrated his first birthday at The Manila Polo Club on December 17, 2017. 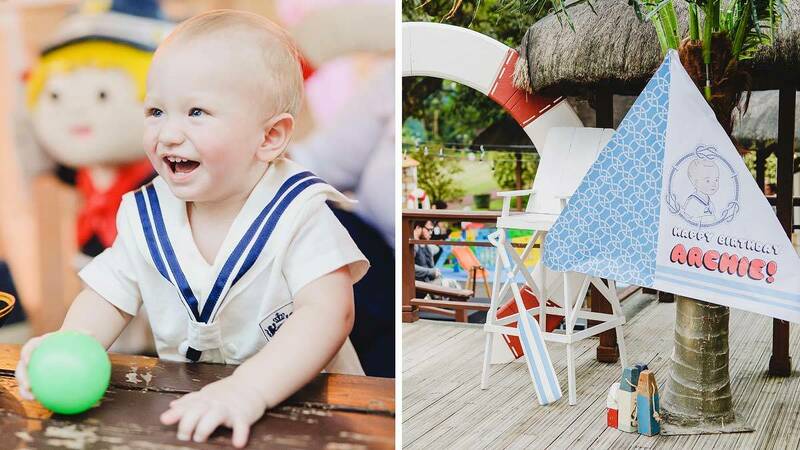 The party had a nautical theme, so naturally, the venue was decorated in red, white, and blue, and baby Arch wore an ADORABLE ~sailor suit~! Taylor Swift took a page out of Kim Kardashian's book and released her own app: The Swift Life. It's being called "a positive place for Swifties to interact with each other and with Taylor." Plus, it comes with an adorable set of Taymojis! As typhoon Urduja continues to wreak havoc in the Philippines, popular beach destination Boracay was not spared. According to Manila Bulletin, 1,200 people are stranded on the island and that 90 percent of Bora is flooded.